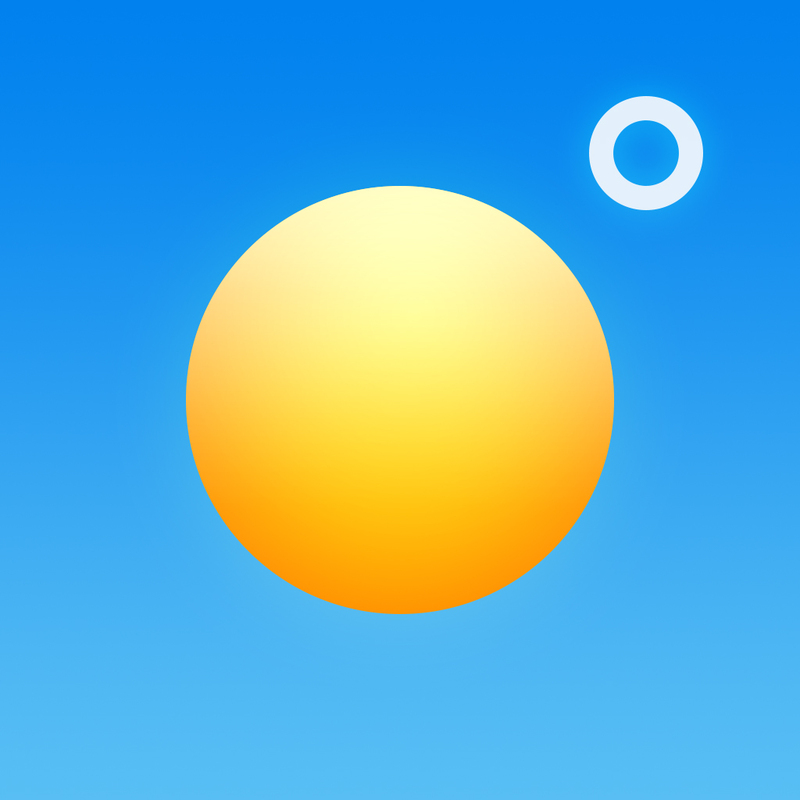 Perfect Weather - NOAA Radar and Forecast ($2.99) by Contrast is a powerful weather app for your iPhone that combines forecast and weather maps in a single view. 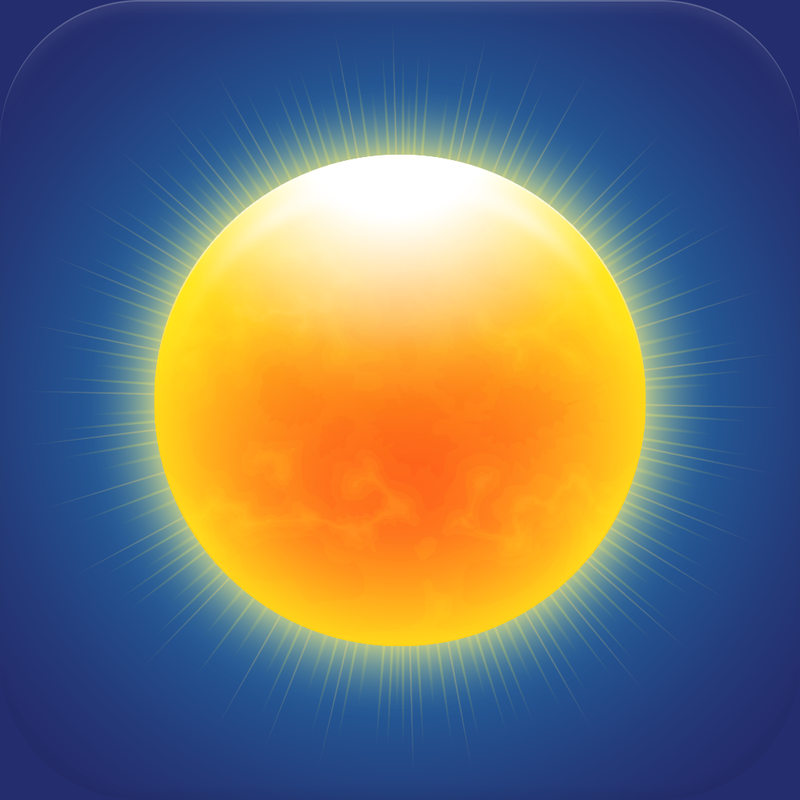 If you need more than just the current temperature and conditions for US locations, then this is the app you you want. I’ve definitely gone through my fair share of weather apps, with some of my favorites being Solar, Haze, and Today. 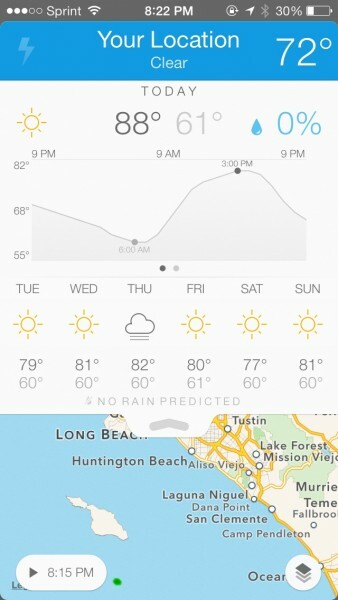 However, I’ve been beta testing Perfect Weather for the past few weeks, and it has easily become one of my top picks for weather on the iPhone. While most weather apps want to just look great on your device, they may do so by sacrificing other important data that you want, such as radar. Well, with Perfect Weather now out, you no longer need to sacrifice beauty for functionality. 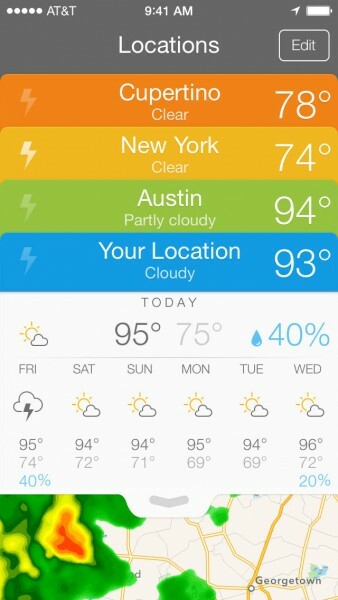 Perfect Weather features a slick, flat interface that plays nicely on iOS 7. It will display each location you add (up to six), as well as your current location, as “cards” that are very reminiscent of Apple’s own Passbook app. Each card is color coded with colors that pop on Retina screens, and the typography is light, but easy-to-read. 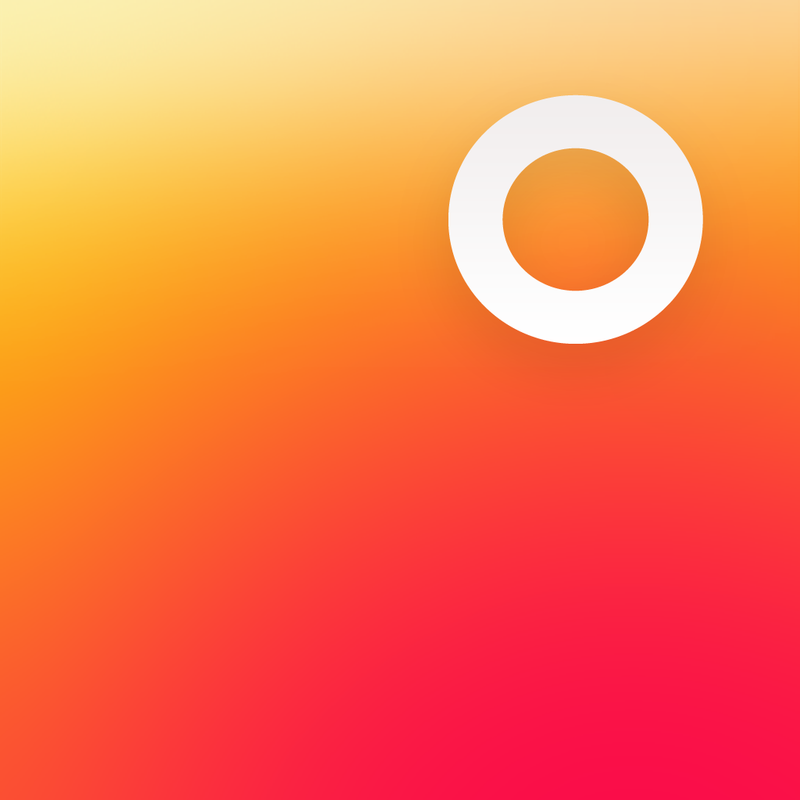 Once you get in the app, it’s all incredibly intuitive and straightforward. By default, Perfect Weather will make use of your current location, which is very convenient. However, as I mentioned earlier, you can also add up to six more locations, so the total cards will be seven. To add a new location, just tap on the Edit button, and then the + card that comes up. 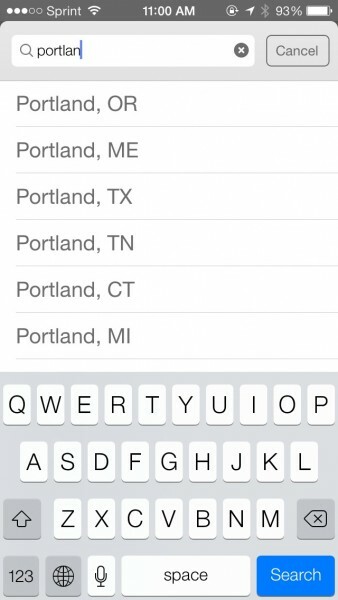 You can search for your location by city name or zip code, with results showing up in real-time. 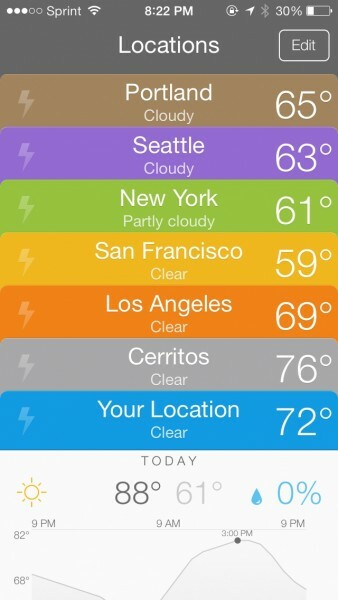 When your result pops up, simply tap on it, and it gets added to your stack of weather cards. 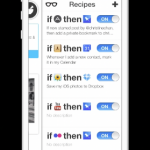 The Edit button also gives you the ability to rearrange the order of your locations by drag-and-drop. 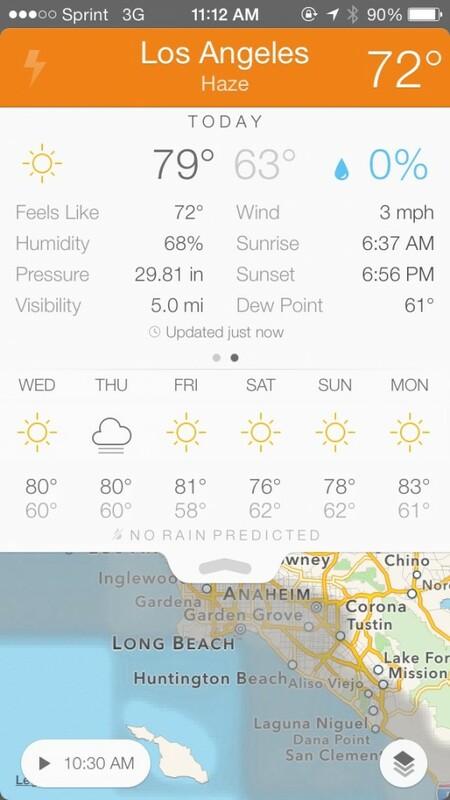 When you have multiple cards, they will show up in a collapsed view, with the location and current weather condition in the top center of the card. The current temperature will be shown off to the right. If a city has an active weather alert, you will see the lightning bolt lit up, and tapping on it will display the current warnings. The real magic with Perfect Weather is what each card contains. 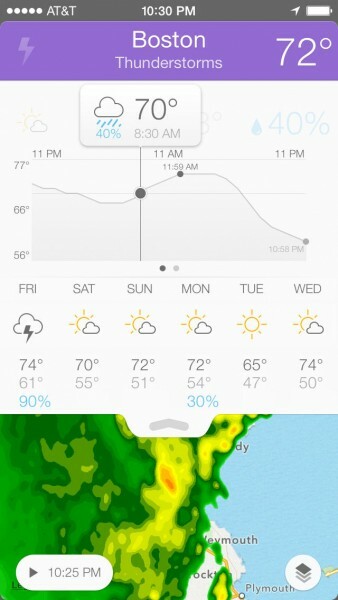 To view a card, tap on the one you want, and it will reveal a new split-screen view, with forecast in the top half, and a weather map with full radar in the bottom. The forecast area will display the high/low for the day, weather condition (in icon form), and even show you the precipitation percentage. Underneath, you’ll find the forecast for the next six days, so you can plan ahead. Perfect Weather has more to it than meets the eye. In the forecast area for any card, you can tap or drag on the arrow tab to collapse to just map view or expand for more information. In addition to getting the forecast, users are able to get a graph chart of exactly what time of the day you’ll get the high and low. You can drag your finger along the chart to view the exact temperature all throughout the day, or swipe left to reveal complete details, including humidity, pressure, wind, and other bits of data. Everything you would possibly want or need to know about the weather is all here. In the weather map area, you get live radar data as it comes in. If you tap on the button in the bottom right corner of the map, you can change the radar to rain or clouds, and even adjust the opacity of the radar. I personally find that the opacity adjustment is better suited for cloud coverage, but you can do it either way. 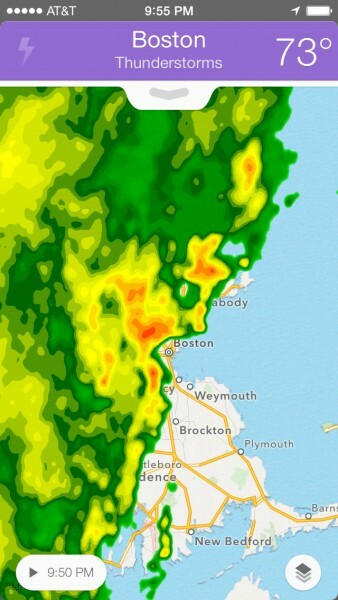 If you tap on the button in the bottom left, you can watch the radar action play out right on your screen. Finally, to return to the list of cards, just tap on the header bar. I’ve been thoroughly enjoying Perfect Weather for quite some time now, and have been ecstatic for the release. I love it because it provides a beautiful way to quickly get multiple temperatures at once, a compact forecast view with more detail on request, and has complete radar maps for precipitation and cloud coverage. 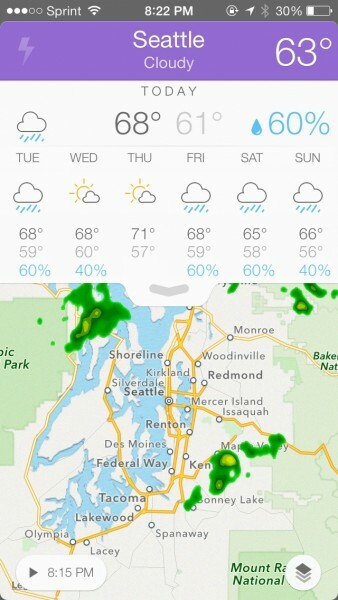 If you’ve ever wanted a weather app that has radar maps and looked great while doing so, then Perfect Weather fits the bill. 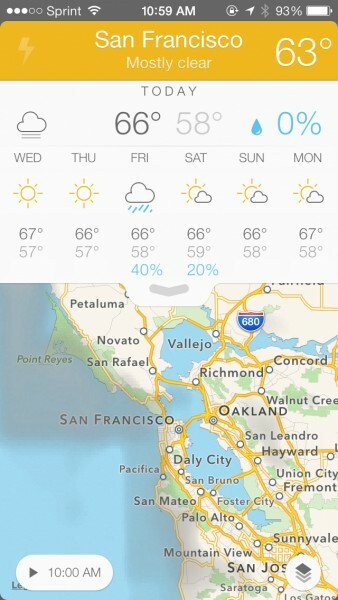 Unfortunately, Perfect Weather is a US only weather app for now. This is due to it being difficult to obtain radar information from non-US locations. I would also like to see the app allowing users to add more than six other locations, because once you reach the limit, you have to delete some to make room for new ones. Of course, for most, six should be plenty, but it would be nice to have the option. And while the app is US only, there are no settings to change the unit — I know America uses Fahrenheit, but some people prefer Celsius, so there should at least be the choice. Still, I highly recommend checking out Perfect Weather for yourself. It’s ready for iOS 7, fits the overall aesthetics very nicely, and provides plenty of detailed information in a sleek, intuitive package. 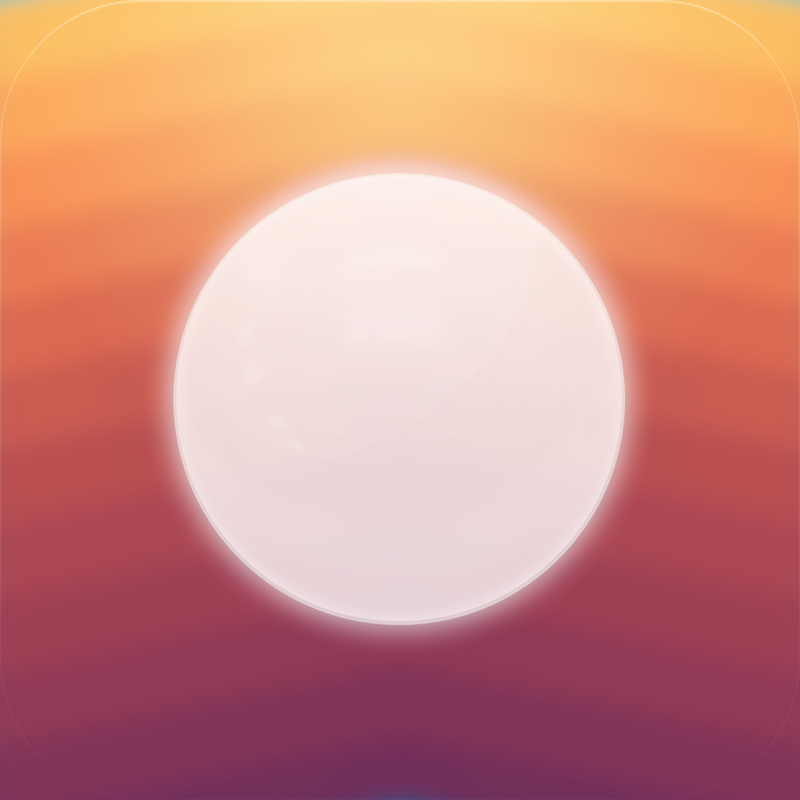 You can find Perfect Weather in the US App Store for your iPhone at $2.99.